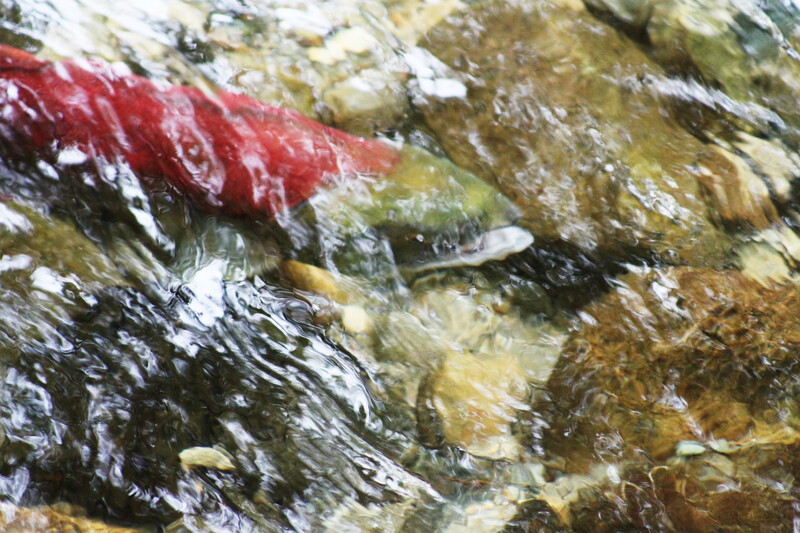 Spent time out in the Shuswap area over Thanksgiving where the sockeye salmon are filling the Adams River to spawn. 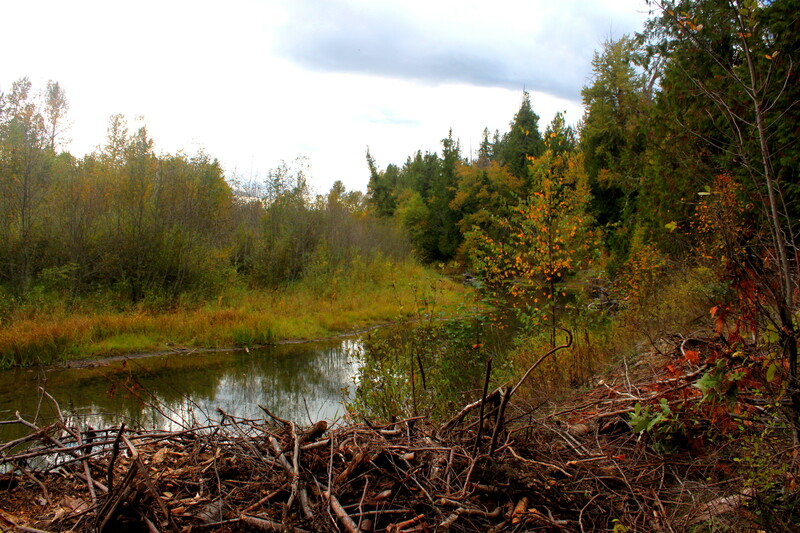 There is a big run every four years and this year is one of the big runs. It is an amazing spectacle! 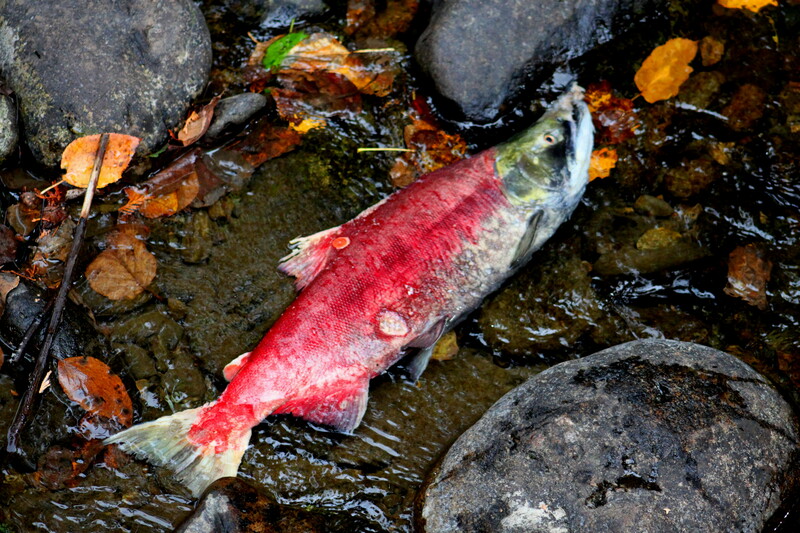 The sockeye turn red and green when they return to their spawning grounds. 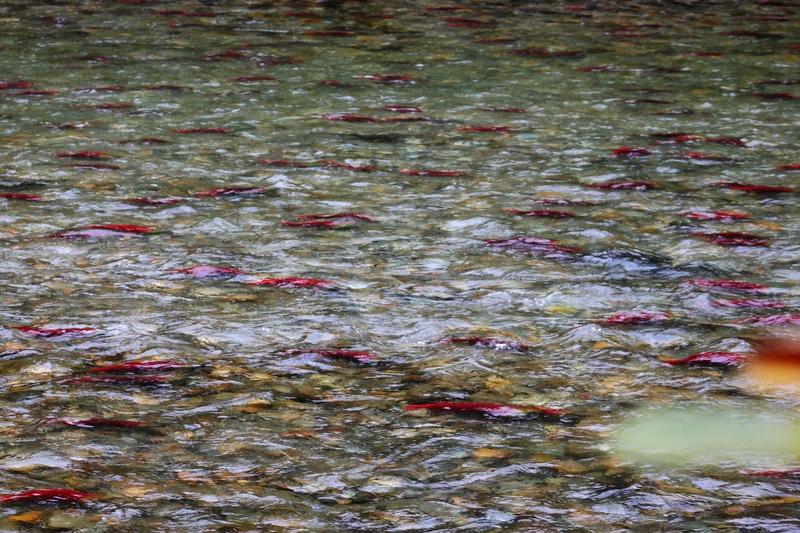 Spotted some photographers in the river to photograph the sockeye underwater. One needs a special permit to do this.